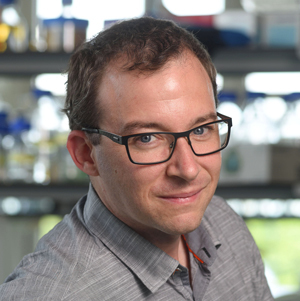 Vincent Dion is Assistant Professor at the Centre for Integrative Genomics, Faculty of Biology and Medicine. With a new tool christened CRISPR-Cas9, modifying a genome is within reach for any molecular biology laboratory. This technology, first used five years ago, is generating high hopes for the treatment of genetic diseases. But it has already raised many concerns. A ‘revolution’: this is the term used by Vincent Dion, Assistant Professor at the Centre for Integrative Genomics (CIG) of UNIL, to explain what CRISPR-Cas9 has changed in his field. In truth, this new tool is to geneticists what word processing software is to writers. It allows us to modify a genome with disconcerting ease and speed at a low cost. It’s therefore unsurprising that it’s been hugely popular in basic and clinical research laboratories. It all started thirty years ago, when Japanese researchers sought to understand how bacteria are able to defend themselves against their predators, viruses. In the genome of Escherichia coli, they discovered the presence of curious repetitive DNA sequences. In certain parts of them, the four letters – bases – (A, G, C, T) with which DNA is written form series that are immediately followed by the same sequences in reverse. They can therefore be read in both directions, like palindromes. This is why, in 2002, other biologists gave them the name CRISPR (pronounced ‘crisper’), an acronym for Clustered Regularly Interspaced Short Palindromic Repeats. Many years later, American Jennifer Doudna at the University of Berkeley in California and Frenchwoman Emmanuelle Charpentier, who then worked at Umeå University in Sweden, unravelled the mystery behind this behaviour. They discovered that CRISPR acts as a guide for an enzyme, Cas9, which kills the virus by breaking down its genome at specific sites. The two researchers concluded that this coupling ‘could be adapted for cutting, in vitro, any DNA sequence of an organism’, explains Vincent Dion. He’s not alone; take a look at the enthusiasm with which geneticists have begun using CRISPR-Cas9. The two researchers at the origin of this innovation also received a number of prestigious distinctions, most notably the ‘2015 Breakthrough Prize in Life Sciences’, created by the founders of Google and Facebook with an award of $6 million! As proof of its notoriety, this genetic tool even inspired the writers of the science fiction series The X-Files, who attribute its invention to extraterrestrials. More realistic, biologists understand that they now have a veritable genetic scalpel or Swiss Army knife, as people often refer to it. The UNIL geneticist prefers to compare it to ‘molecular scissors with a homing system’. 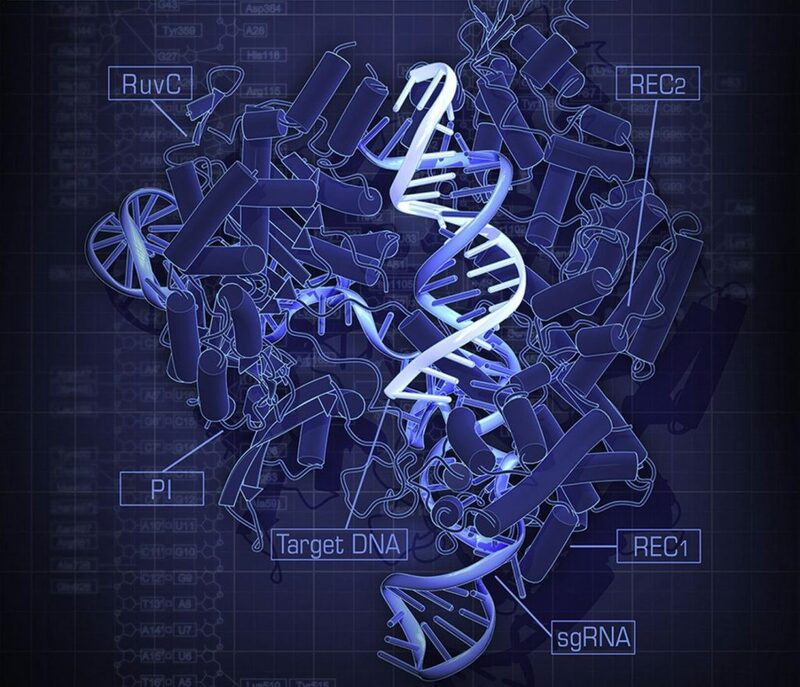 Whatever it may be, CRISPR-Cas9 can be used to retouch DNA in multiple ways. ‘It can be used to eliminate a gene from the genome, or even to replace it with another, or to mutate it in a specific way.’ Or even to change a gene’s expression – that is, to activate or deactivate it – ‘by changing the way the long DNA molecule is packed into the nucleus’, explains Vincent Dion. Researchers didn’t wait for CRISPR-Cas9’s arrival to begin modifying genomes. However, these molecular scissors have changed the game by making these operations much quicker, more efficient and considerably less costly. Previously, before a gene could be cut, it had to be targeted. To this end, ‘a model made of two proteins, each of which attaches to one of its ends’ was created – in other words, it acted as a sort of stencil allowing them to define the targeted DNA sequence. ‘This took four to five months’, the geneticist remembers, ‘while the design of a CRISPR takes less than an hour’. Instead of proteins, this new stencil effectively uses a single strand of RNA. It recognises the DNA sequence that complements it and quickly pairs with it. Then, it’s just up to the CRISPR-Cas9 scissors to take action. What’s more is, it’s not expensive. ‘Designing proteins, which was done by specialised laboratories, costs between $20,000 and 40,000 but you can get RNA for $100 or $200.’ Studies that were unthinkable five years ago because they would have taken too much time and money have now become feasible. ‘We can create banks of cells in which we’ve mutated tens of thousands of genes. This allows us to study the genes involved in any phenomenon that interests us’, observes Vincent Dion. Accelerating and simplifying research could also have repercussions for medicine. This new tool is, first of all, counted on to improve gene therapy, whose clinical trials have not elicited the expected results. The method consists of introducing a viral vector carrying a ‘gene-drug’ into the organ or tissue being treated. This could be replaced by CRISPR-Cas9. The experiments that are currently being conducted essentially focus on the most easily accessible organs, such as the liver, ‘which easily absorbs the DNA that we inject’, specifies Vincent Dion, ‘or the blood, which we can treat outside the organism before putting it back into circulation, or the retina’. Gene therapy also raises hopes for treating hereditary diseases, such as Duchenne muscular dystrophy or cystic fibrosis. These pathologies result from the alteration of a single gene ‘which we can correct or remove, if it’s toxic. The experiments conducted on mice are encouraging.’ In humans, we can imagine that, ‘even if we only manage to modify a minority of altered cells, this will be enough to improve patients’ symptoms’. In an entirely different area, we can fight the AIDS virus ‘by inciting mutations in the HIV that incorporates itself into the genome of infected people’, suggests the UNIL researcher. Or treat lung cancer ‘by modifying the immune system of people affected to help eliminate tumour cells. A Chinese team has already announced that it is conducting trials with humans. It still needs to be verified that it’s not just advertising’, cautions Vincent Dion. For its part, the CIG’s team is interested in neurological disorders. We all have sequences of three-letter words in our genome: CAG. ‘These sequences are unstable: their size varies from one person to the next and, in the same individual, they change over time’, explains Vincent Dion. If DNA has thirty-five or more instances of CAG in a row, this elicits a neurological disorder that progresses accordingly as the series of CAG repetitions grows over the years. 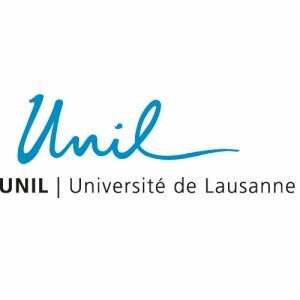 ‘Fourteen neurological problems are caused by this mechanism; their nature depends on the region of the genome affected’, the UNIL researcher specifies. For the moment, researchers have worked on lines of human cells and ‘this works relatively well’, observes the geneticist, who hopes to be able to recreate the experiment with mice. It’s still a long road before we can consider clinical trials, but ‘as these diseases are currently incurable, it’s worth it to try and move forward’. Before we can dream of adding CRISPR-Cas9 into the therapeutic arsenal, there are a certain amount of problems to solve. Because, beyond the ethical and social issues that it raises, this new tool also comes up against some technical obstacles. One of the main obstacles concerns the high precision necessary, because if the scissors miss their target, this can cause serious damage by cutting or modifying a healthy gene. Currently, ‘certain RNAs used as guides are very precise, while others are barely so’. Moreover, the geneticist reminds us, DNA is comprised of three billion pairs of bases – letters – ‘and finding a mutation at a given place is currently impossible’. Perhaps these pitfalls will soon be circumvented, given how quickly advances are made in this field. ‘In five years, we moved from something no one had ever heard of to a technique that’s become standard in laboratories’, remarks Vincent Dion. For him, it’s a ‘new, clear example of research, at first purely fundamental and guided by mere scientific curiosity, which has led to the fine-tuning of a tool capable of revolutionising all of molecular biology’. The success of the CRISPR-Cas9 molecular scissors poses some delicate ethical questions. Alain Kaufmann explains. Read more.